Amazing all around. This, folks, is the kindest of the kind. I couldn't be more pleased. This stuff puts most NYC delivery service bud to shame. Oh, and it is most definitely a quality daytime smoke. It doesn't couch lock you like the herijuana or ko kush tend to do. Received my package, and great packaging by the way, thank you, waiting patiently for Christmas to pass so I can try the new genetics from you. Thank you for the quick replies and fast shipping. Already deciding what to get for my next order. I rate this 4/5. BUT, please read! This is a 5/5 strain to those who prefer it. Both phenos(2 phenos one dark purple, other green) were slow in root development, therefore were not good candidates for a straight flip from clone into 12/12. 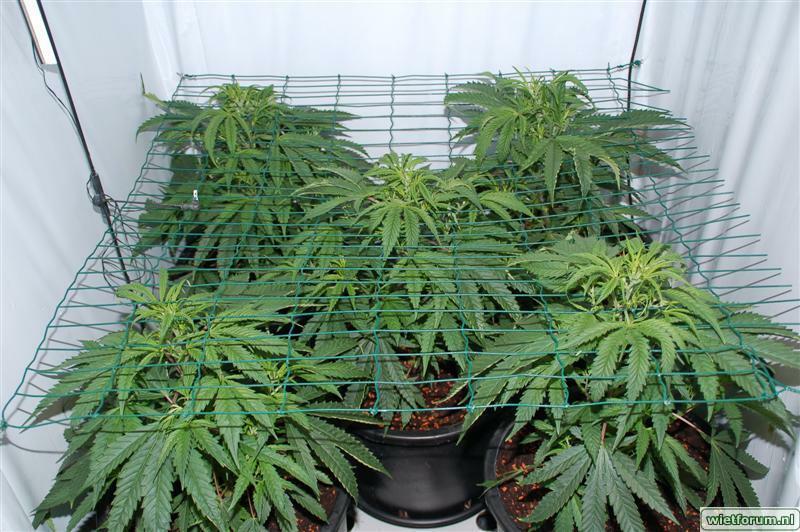 If vegged 2 weeks she produces way better. Ideally, I believe a 3-4 week veg is in order. Further, I did hempi pots 1gal or under. Usually, for what I run this is fine, but she just didn't take to this method. Yields were sub par. 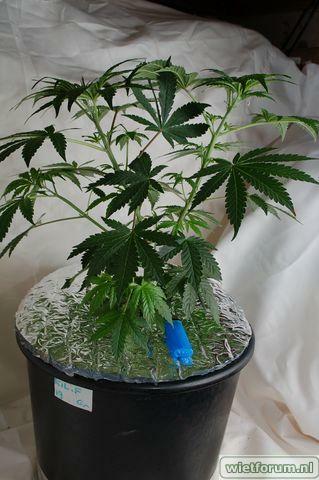 However, I did some test grows with 1gal soiless(peatmoss/pearlite) and she enjoyed that way more. I have a feeling with soilless or soil and organics and longer veg she would yield well. It was amazing the difference in yield given just 1-2 weeks of veg. For the effect, she is very good. Not overpowering, but definitely very good. I prefer'd the green pheno which I have to assume takes after the Jack side. Nice hazy/spicey taste with hint of citrus. Effect is soaring. Purple pheno tastes like faint rotten blueberries until FULLY cured. After 4wks plus cure she is very nice blueberry pie but without the sweetness if that makes sense. Kind of a nice semisweet pungent blueberry. NICE. not bad, that's not my intent to say. Green pheno is better with shorter cure than the purple, but after prolonged cure it gets even better, as do most strains. Green pheno had more long sativa like buds, but funny indica like leaves :). and taller overall structure vs sister. Purple pheno golf ball buds and x-mas tree structure which needed support once the buds started putting on weight. Watch for mold on the purple pheno, I had humidity in test tent get high after fan failure and couple of purple buds started to mold. Fan on or near plants should take care of that. Overall, I'm impressed as she was my first legit genes I had grown. Previously, only bagseed; although from good stock. Sannie's shop is one of only two places I buy from. I now have ordered Kollosus, Selene, Heri, Mad Scientist, plus several of Escobar's selections from Sannies breeders choice section. Can't wait to enjoy them all :). Jackberry takes my depression away like no other strain. It really is a perfect daytime smoke, no paranoia - just chill positive high. Colors are out of this world, and it's great for stealth grows couse it's fast and smell is discret. When cured, even people who don't smoke wish they could carry some with them all the time, couse it smells SO GOOD. :)) People, don't miss this one!!! Great beans so far. Popped 4 and 3 are going well after I killed one :(. One was male so the 2 females were vegged and 2 diff phenos are showing. Took clones and flipped them once rooted into a 12/12 small test tent. One is more indica and stretches to about 1.5-2.0 original height from flip. Other seems to show a 2.0-2.5 stretch and seems to show more of a collum type growth vs shrubby like the first. 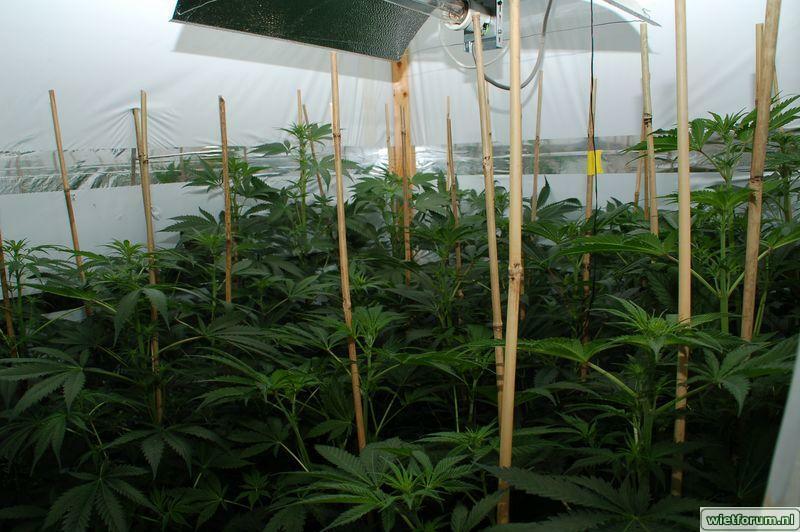 The taller one is showing a few rare pink pistols at 3-4 weeks of flower. Can't wait to try them. Sannies rox. Growing some of his Kollosus and Amnesia too. Those will be about 2 months behind this JB so it's a waiting game till the goodness of these beauties. Thx Sannie! Donkeydicked budz and they aim to please. i put to pop 10 seeds and as usual, all seeds pop. i try this time the sannie pop system that i receive in freebie and it work very well. All 60 popped. 2 distinct phenos...1 very dark purple in late flowering with a lemony smell with grapefruit undertones and another that stayed medium green color (and trichs matured in 6 weeks) with a much stronger fruity almost mango like smell. The latter was more prone to single cola. Some of them did get very branchy. GREAT SMOKE!